We hear about a lot of affairs in Bollywood. No matter how much celebrities try to hide it, their relationship becomes public anyhow. And once the media get to know about any gossip they embarrass them with their questions even after their breakup and also after they get married to someone else. Speaking of the topic, there are a lot of Bollywood actresses who were once involved in the romantic relationship with some biggest stars of the industry but somehow things didn’t work out and now they are happily got hitched with someone else. 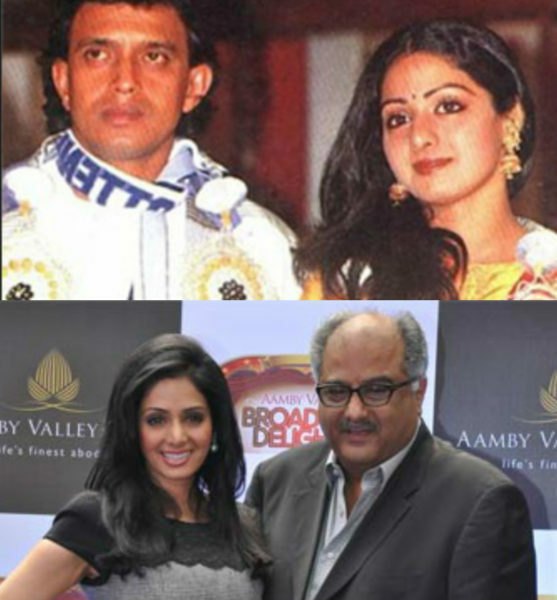 Sridevi was Mithoon Chakroborty’s love interest in the past days. Late Sridevi was a wonderful and stunning actress in her days and was most desirable of all the actresses, everybody was dying to work with her. And the charm of Sridevi worked on Mithoon and they were in a committed relationship but at that time Mithoon was already married so they called it off and Sridevi married Boney Kapoor. 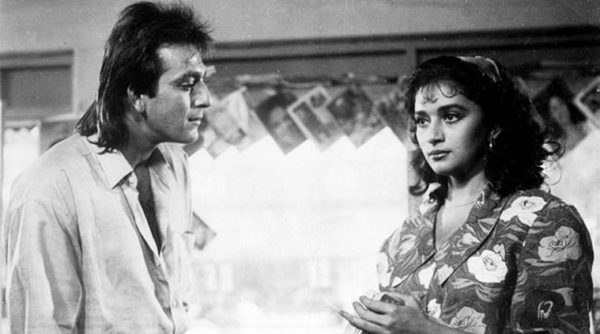 Before Madhuri Dixit become Madhuri Dixit Nene, she was Sanjay Dutt’s love interest. Their relationship was too serious and they were going to get married but Sanjay Dutt got arrested and was involved in too many issues so she broke up with him. Salman and Aishwarya’s love story was quite famous in the 90’s. Everybody adored the couple. 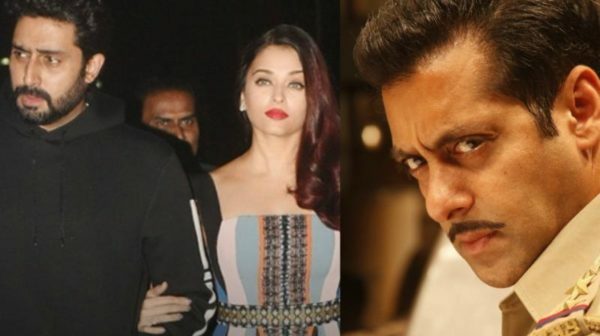 But due to Salman’s violent and aggressive behavior, Aishwarya said enough. Then she got committed with Abhishek Bachchan and they got married. Their break-up broke many hearts other than their own. 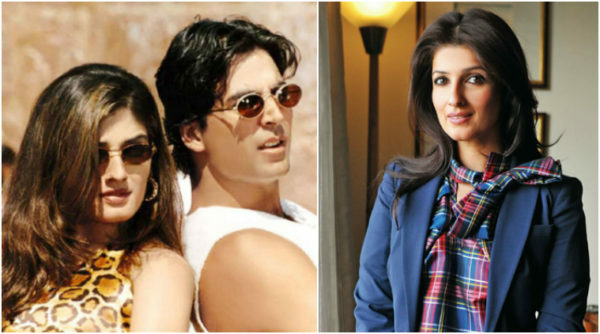 The couple’s love story was fairytale until Raveena got tired of Akshay’s Casanova character and married a businessman. Another Bollywood beauty that Akshay Kumar dated is Shilpa Shetty. The fitness queen is still very charismatic. 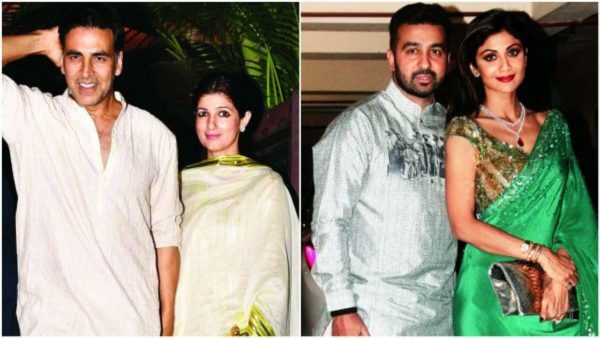 But at that time he was involved with Twinkle Khanna too so Shilpa decided to leave him and got hitched a businessman. Despite being married to Sunita, Govinda started an affair with Rani Mukherjee. Sunita almost decided to leave Govinda but Govinda left Rani and continued his married life with Sunita. Now Rani is happy with Aditya Chopra. Next article Best Upcoming Bollywood Movies, That Could Be Record Breaking!